Take a closer look at the world around you with a collection of gorgeous magnifiers and microscopes from Authentic Models. Now, in a beautiful nostalgic style, you’ll be able to see things that are near impossible to see with the naked eye – and things have never looked better. 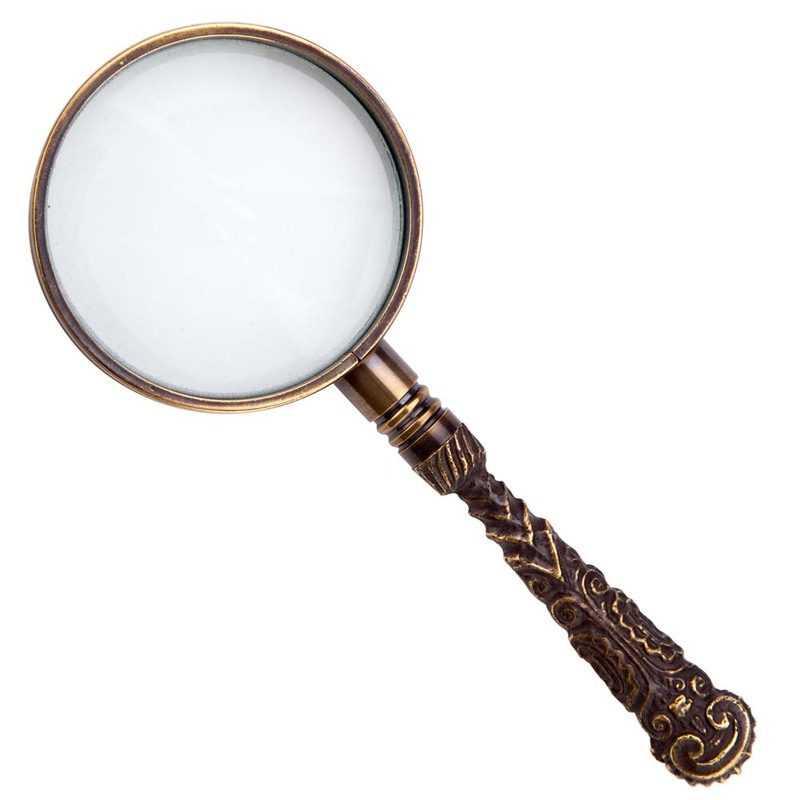 This impressive, ornate magnifying glass features a five-times magnification lens, and is finished with antique-look bronze plating. Glass lens with 5 x magnification. Presented in a fabric drawstring bag. Dimensions: 13cm (l) x 5.5cm (w).